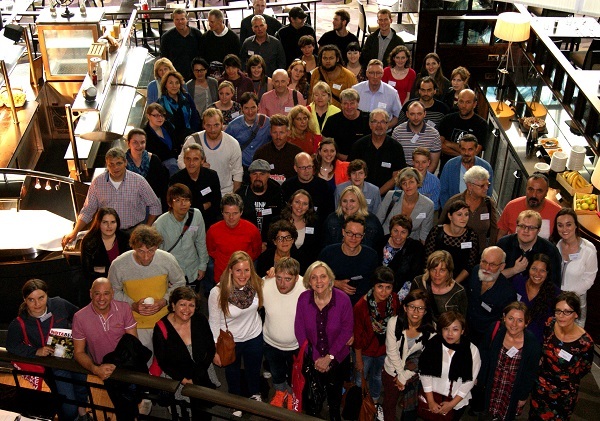 From humble beginnings back in 1995, the INSP Summit has grown bigger and more international each year. 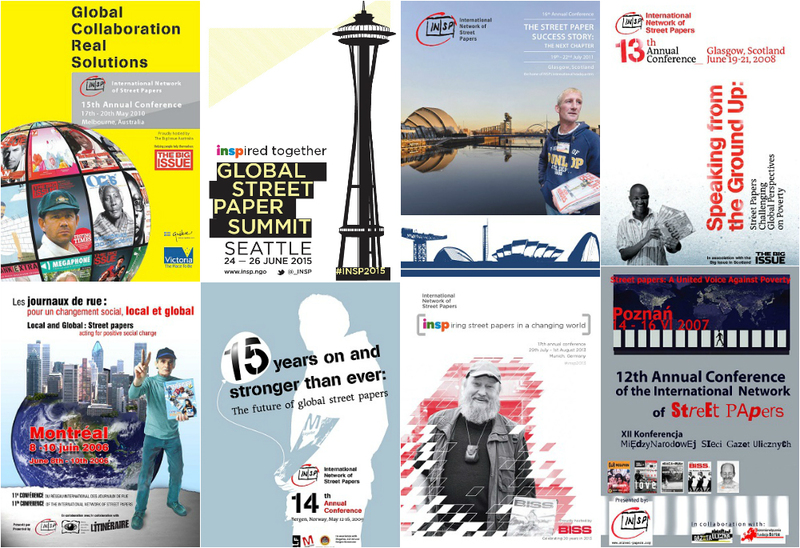 The highlight of the street paper calendar, it brings together the network to strengthen our connections, share our knowledge and celebrate our successes. Scroll down to go back in time with the INSP Summits and Conferences – all the way back to our first gathering. 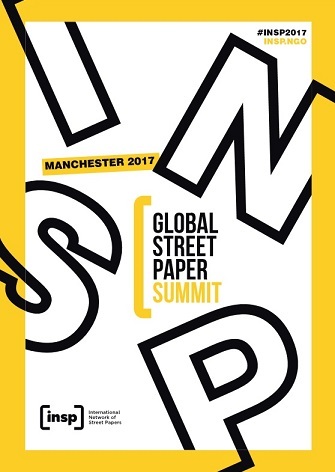 You can also check out more information on the next Global Street Paper Summit, and how you could be part of this vibrant tradition. In August 2018, the Summit returned to INSP’s home city of Glasgow. 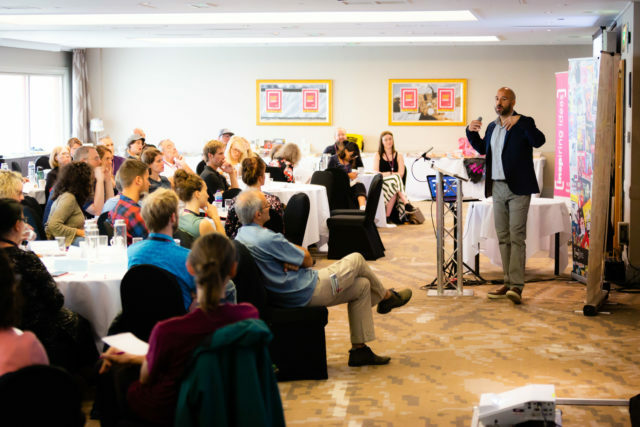 The summit hosted keynote addresses from journalist and activist Sunny Hundal, and researcher and academic Suzanne Fitzpatrick. 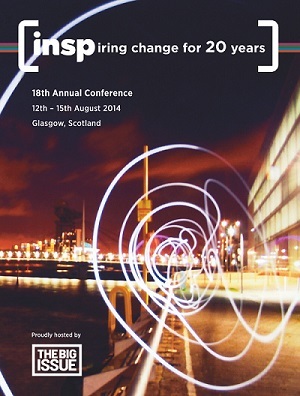 INSP Talks returned for a third year, this time focused on social enterprise around the world. And the 2018 INSP Awards were presented at the universally-enjoyed Awards Ceremony. 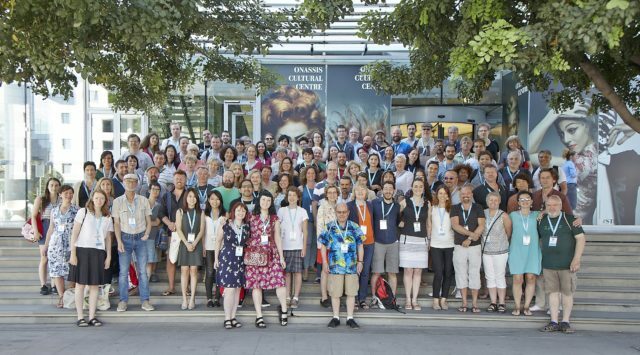 Delegates from 43 street papers in 26 countries attended #INSP2018, and you can read our full coverage of the event day-by-day here. With thanks to: Surprise, Satila Foundation, Glasgow City Council, The Scottish Government, Stavros Niarchos Foundation, Crowne Plaza Glasgow, The Big Issue (UK), The Lighthouse, Invisible Glasgow and BBC Scotland. 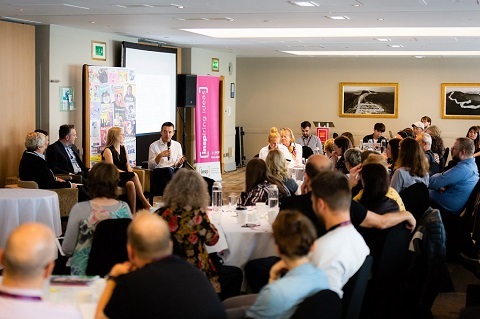 In August 2017, INSP partnered with Big Issue North to bring the Summit to Manchester in the UK. 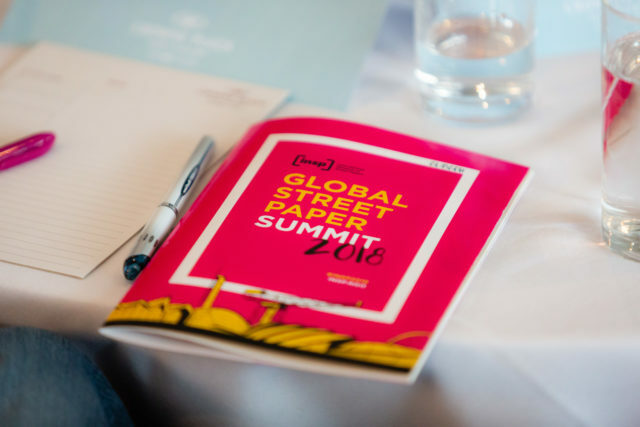 127 delegates attended from 54 street papers, in 28 countries – the highest number of delegates at a summit to date. The summit hosted keynote addresses from epidemiologist Richard Wilkinson and economist Neil McInroy. 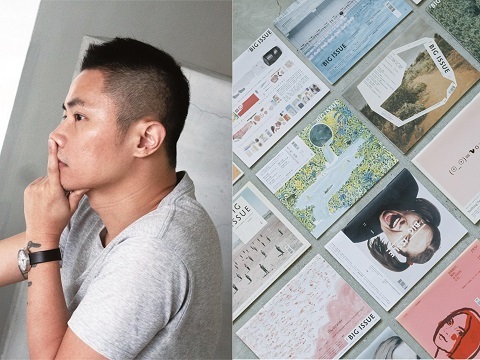 The popular INSP Talks returned, as well as the numerous break-out sessions to delve deep into the anatomy of what it takes to make a street paper run successfully. And, of course, we celebrated the winners of the hotly-contested 2017 INSP Awards. Read our full coverage of the event, including videos, here. 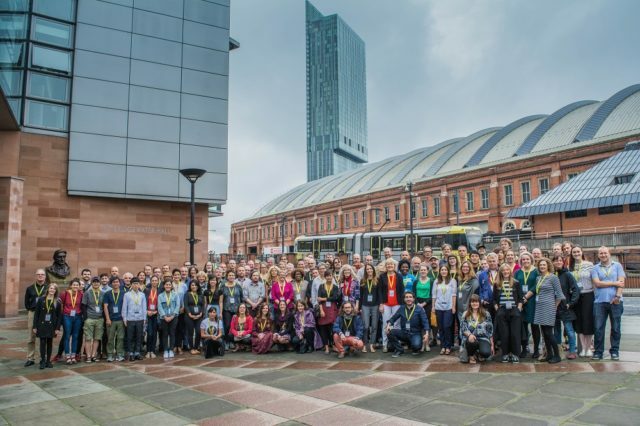 With thanks to: Big Issue North, BISS, Glasgow City Council, The Scottish Government, Manchester City Council, Kingdom of the Netherlands, The Bridgewater Hall, Jurys Inn, The Real Junk Food Project and Marketing Manchester. 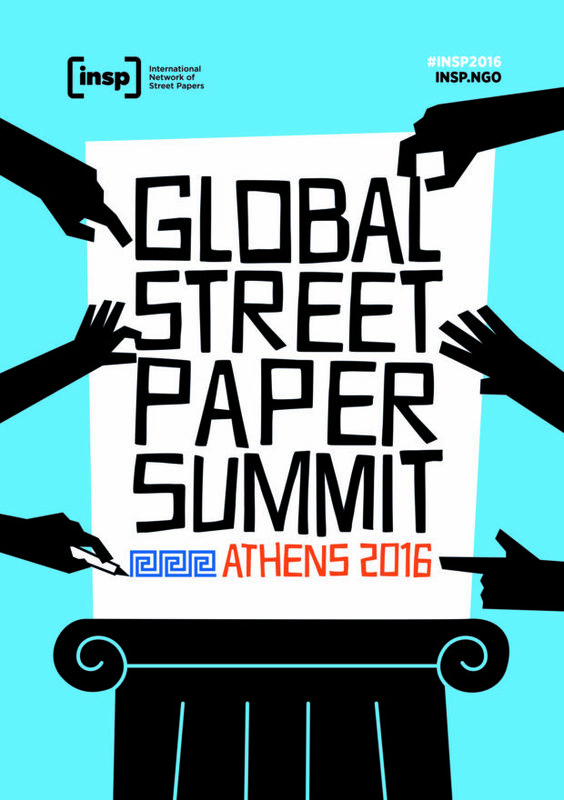 In June 2016, INSP partnered with Greek street paper Shedia to bring the INSP Summit to Athens. 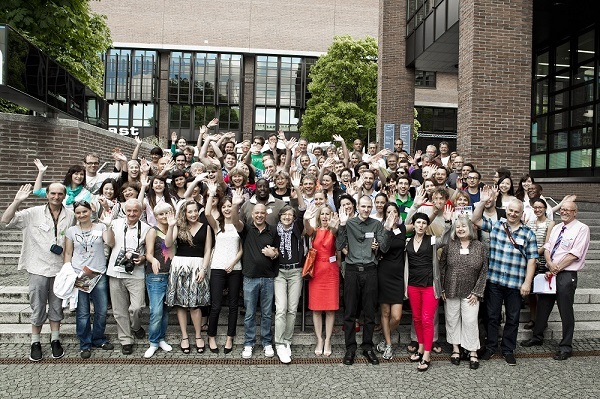 120 delegates attended from 59 street papers, in 30 countries. Over the three-day event the programme focused on a range of topics that are particularly relevant to street papers. The summit also hosted keynote addresses from Yanis Varoufakis and veteran Greek journalist Nicholas Voulelis. The first INSP Talks lifted the lid on excellent street paper projects – and we celebrated the winners of the 2016 INSP Awards. Sponsors: Onassis Cultural Centre, Ethniki Asfalisti Conference Center, Shedia, BISS, Eko, InterAmerican, City of Athens, Goethe Institut, US Embassy Athens, British Embassy Athens, British Council. 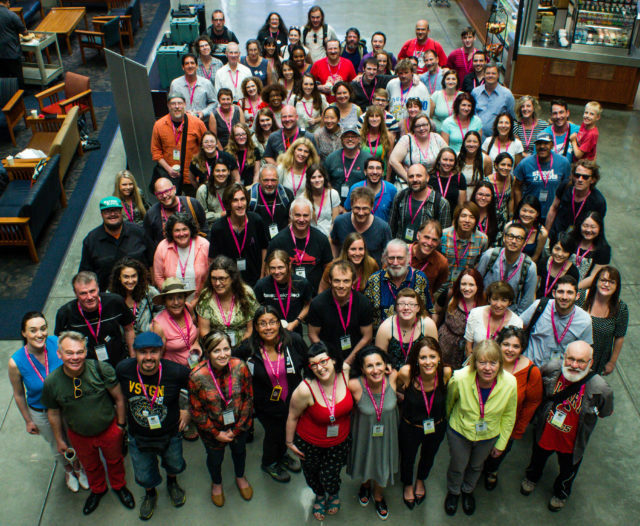 In 2015, INSP partnered with Seattle’s Real Change for our first ever summit in the USA. 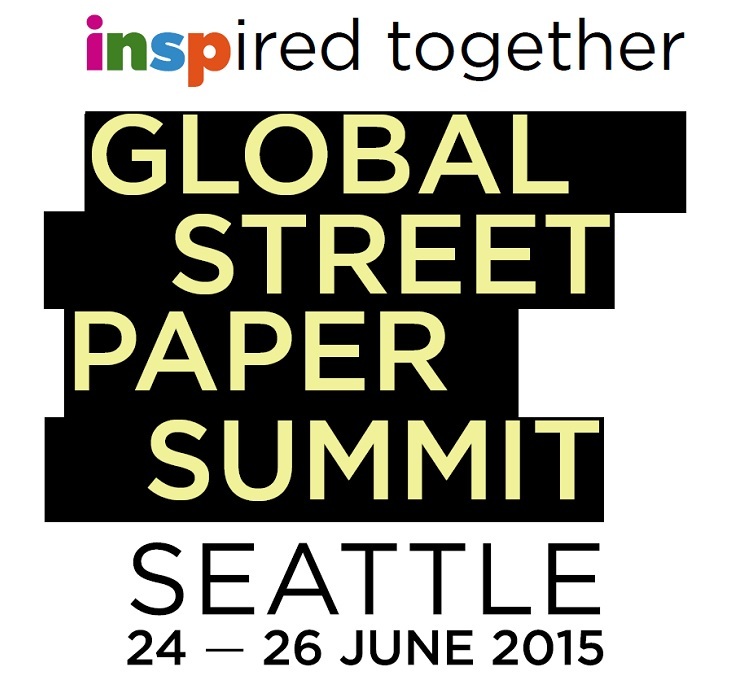 Street paper innovators from all over the world congregated to share success stories and plan for the future. Following on from INSP’s successful 20th anniversary event in Glasgow, the 2015 event featured more sessions than ever before. 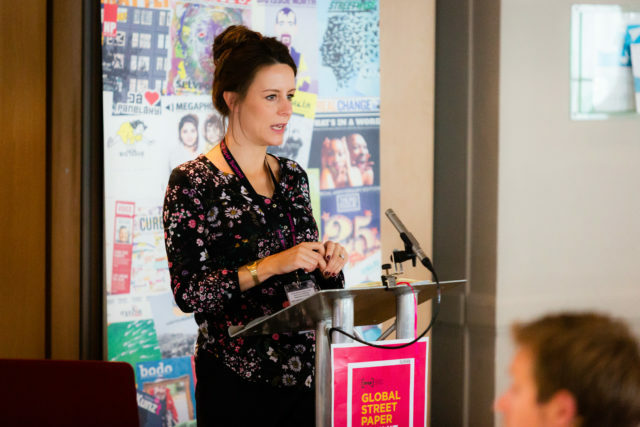 Parallel programmes focused on strategy & business development; editorial & design; fundraising & marketing; and vendors, support and homelessness. It also featured fact-finding visits to homelessness projects in Seattle, top external speakers, and a benefit concert at the city’s legendary venue, The Crocodile. Sponsors: BISS, Real Change, Wyncote Foundation, Bill & Melinda Gates Foundation and Seattle University. 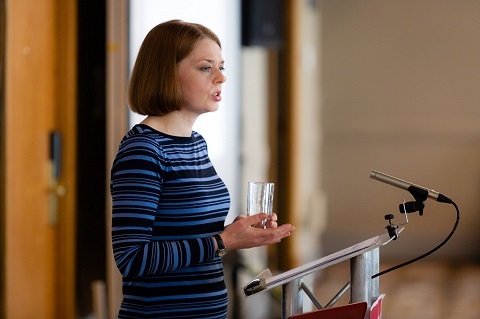 Taking place just after the Commonwealth Games came to Glasgow, INSP’s 2014 gathering continued the buzz with an interactive programme that debuted the now-popular Knowledge Cafe format. The resulting open and creative conversations went on the drive INSP strategy. Coinciding with INSP’s 20th Anniversary, the event culminated in a celebratory gala dinner – and some traditional Scottish ceilidh dancing. 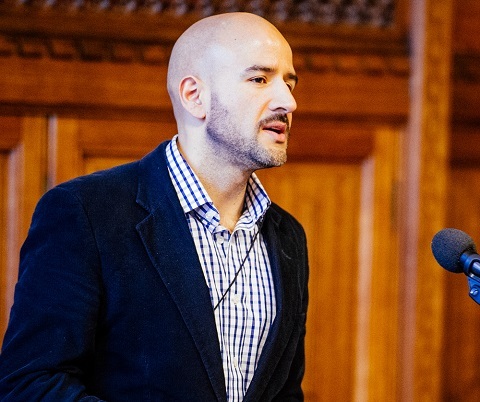 Read Tim Harris’ celebratory address here. Sponsors: BISS, The Big Issue, Crowne Plaza Glasgow, PwC, Kibble, British Council Scotland, Aye Write! 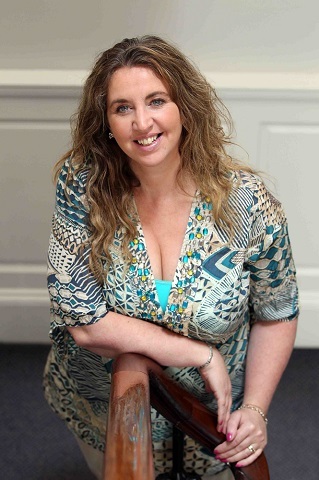 Festival, Glasgow City Marketing Bureau, Newsquest Herald & Times Group. 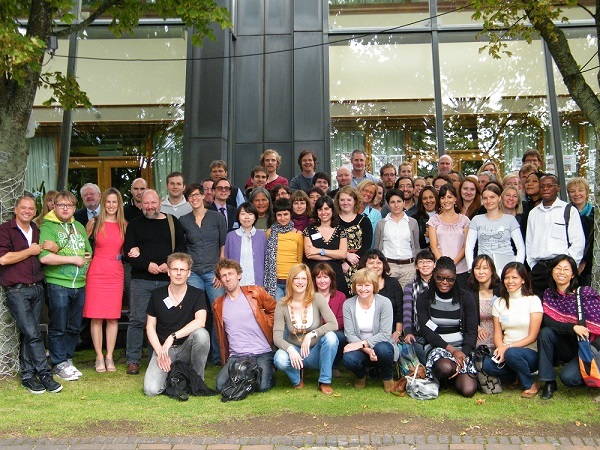 Great Britain Sasakawa Foundation, Nuremberg City Council, Glasgow City Council, Embassy of the Kingdom of the Netherlands in the UK, British Embassy in Bratislava, British Embassy in Ljubljana. 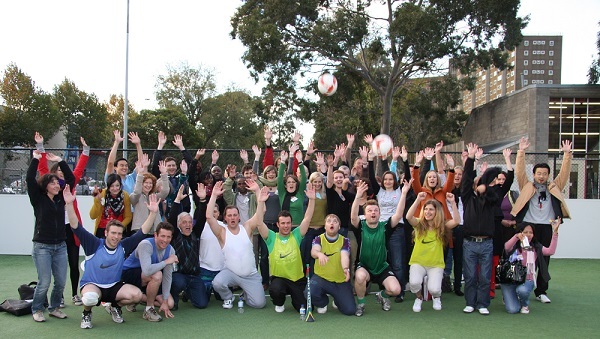 In 2013, BISS vendors welcomed INSP delegates to their very sunny hometown with an alternative city tour that aims to break down misconceptions about poverty and homelessness. 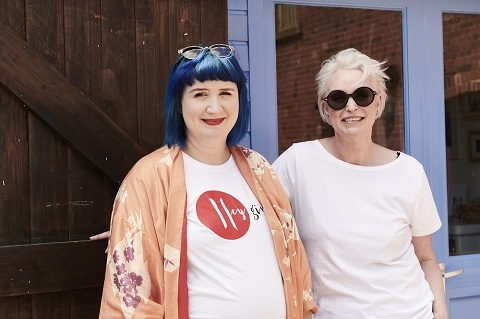 There was also a screening of documentary film Hotel BISS – Vision einer Bürgerbewegung, which told the story of the street paper’s attempt to turn a former women’s prison into a social enterprise luxury hotel. Highlights of the programme included examinations of how street papers could update their business models; of how street papers should react to the digital age and of the effect of the global economic crisis on the demographic make up of our vendors. 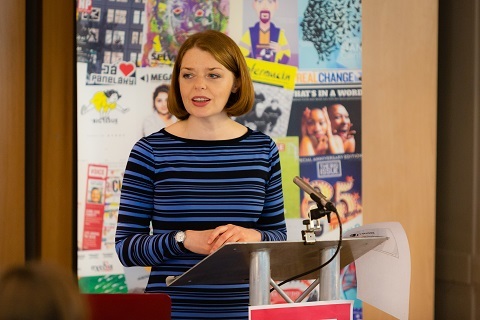 Sponsors: BISS, Bartle Bogle Hegarty, PwC, British Council Scotland, Thomson Reuters, Aye Write! Festival, Color Gruppe. 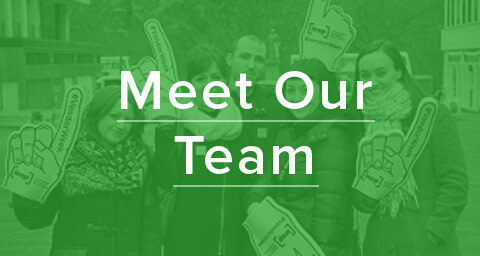 British Council Serbia; British Council Germany; Counsel General of the Slovak Republic in Munich; Embassy of the Federal Republic of Germany, Lisbon; Embassy of the Federal Republic of Germany, Tokyo; Embassy of the Federal Republic of Germany, Moscow; Embassy of the Federal Republic of Germany Foreign Office. The theme of the 2011 conference, The Street Paper Success Story: The Next Chapter, inspired us all to think about where we go next and how to stay ahead of the game. Around 80 delegates from 29 countries attended the event, along with high profile workshop leaders and guests from the UK and international media, government and business. 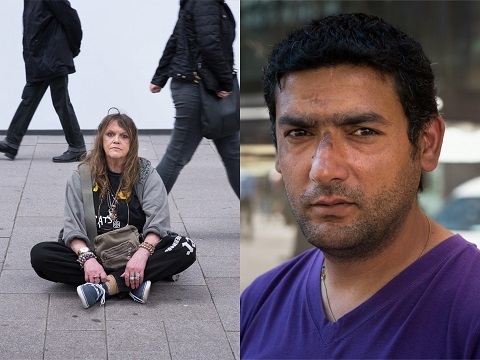 The conference hosted the opening of the Eyes of the Street vendor photography exhibition, which was produced from a collaboration between renowned photographer David Burnett and The Big Issue’s vendors. Read more about the project here. 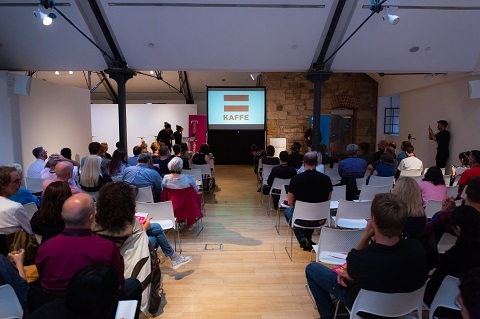 Photographers For Hope, Awards for All Scotland (Big Lottery Fund), Scottish Community Foundation, BBC Scotland, Canon, SanDisk, Glasgow Libraries, Clydesdale Bank, The Russell Trust. Thomson Reuters, The Herald & Times Group, Aye Write! Festival. Delegates came together in the land down under to present their inspirational ideas and visions for our collective future. Among the most significant of these was the launch of the brand new INSP News Service website, which allows for the sharing of stories and images across the network. INSP was delighted to welcome 63 delegates from 25 countries to Melbourne. 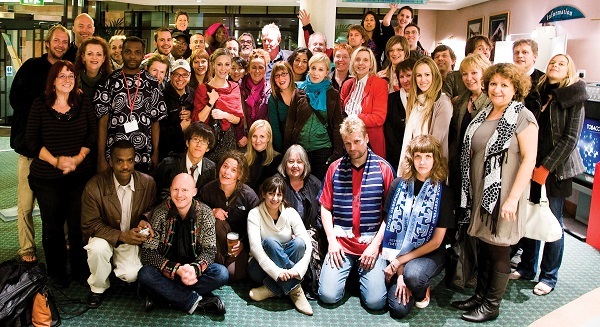 The Big Issue hosted a memorable evening meal, allowing global street paper staff to meet local vendors. And there was even time for some Aussie rules football. Victorian Government, Ministry of Tourism in Quebec, The Big Issue Australia, Open Society Institute, Commonwealth Foundation, Slovenian Ministry of Culture, Federal Ministry for European and International Affairs, Australian Embassy in Japan, Origin Energy, BISS, Atlantis Hotel & Conference Centre. celebrate the 15th anniversary of our network. 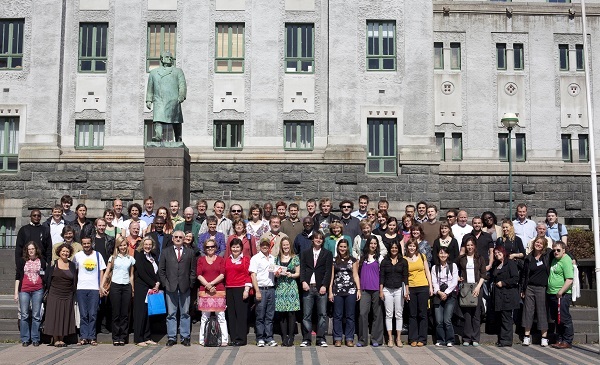 INSP was delighted to welcome 94 members from 29 countries to Bergen, for its longest ever four-day conference and networking event. Sponsors: Megafon, Open Society Institute, Marthas, ALF, BISS, Baker Brun, Bergen Kommune, Norwegian Embassy, Scanner Grafisk, FERD, One Scotland (Scottish Government), Aibel, Fagforbundet, Hordaland, Fana Catering, Norad, Radisson Bergen, Bergen Reiselivslag, Stiftelsen Bergensklinikkene, LO, Husbanken, Street Noise, Bocca, Lloyds TSB Foundation for Scotland, Edvard Grieg Museum, Kirkens Bymisjon. Scotland’s First Minister Alex Salmond welcomed members from 32 countries back to the home of INSP’s global headquarters. The undisputed highlight of the years conference was the first-ever INSP Awards, held in the grand surrounds of the Kelvingrove Art Gallery and Museum. Topics discussed included: the unique role of street papers in the Global South and how to engage street paper readers through campaigning & advocacy. Sponsors: The Big Issue, BISS, Open Society Institute, Mitchell Library, Glasgow City Council, The Scottish Executive International Development Fund, Lloyds TSB Foundation for Scotland Charities Aid Foundation. Throughout the conference, delegates worked together to create a joint statement speaking out against poverty through a united voice of the international street paper movement. The conference created significant media interest throughout the region. A 20-minute feature about the gathering was shown on evening news and there was coverage on several other TV channels, as well as radio programmes and newspaper features. The President’s office welcomed the INSP conference to Poznan by hosting a special reception for all delegates. Sponsors: The Barka Foundation, The Batory Foundation, BISS, Charities Aid Foundation, European Union, Equal Project, Germany Embassy Poland, Open Society Institute, Office of the President of Poznan, The Scottish Executive International Development Fund, Mr John Studzinski, Vikings. Montreál brought together, for the first time, members of INSP and the (now defunct) North American Street Newspaper Association (NASNA). 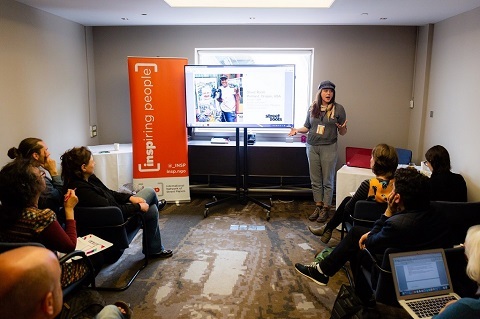 The workshops and presentations focused on highlighting the growing gap between rich and poor, and the important role of street papers in diminishing these inequalities in our world. INSP also presented an exhibition of street papers at the University of Quebec – A Picture of Poverty or Poverty in Pictures. Co-host: Hecho en Bs. As. The INSP conference examined the theme of press freedom. 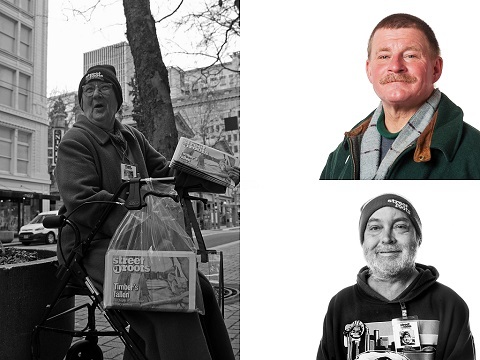 Street papers have the opportunity to offer up a real and truthful picture of the world we live in. 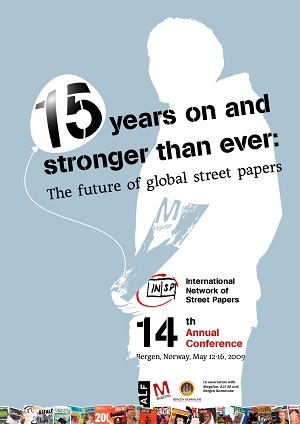 The conference discussed ways to maximise the impact of street papers as independent media publications. 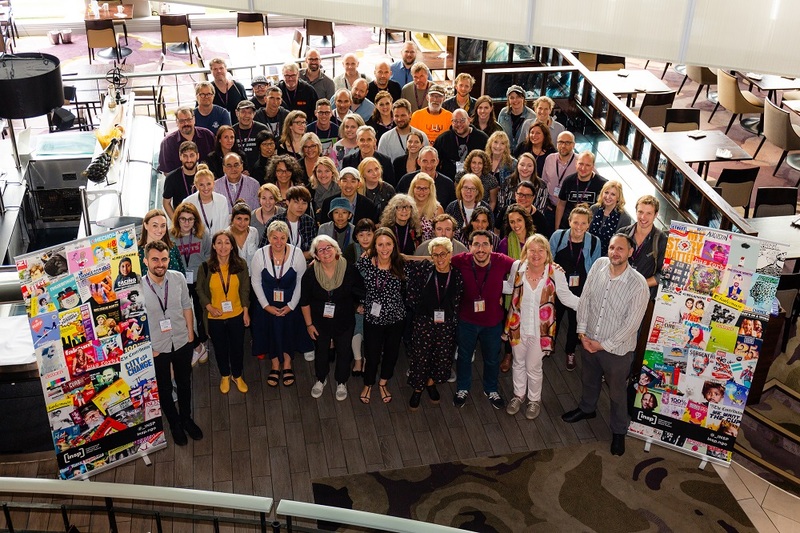 Delegates visited Hecho’s Puerto 21 art project and worked with local vendors to design a collective piece of art to symbolise freedom of expression and the importance of working together. 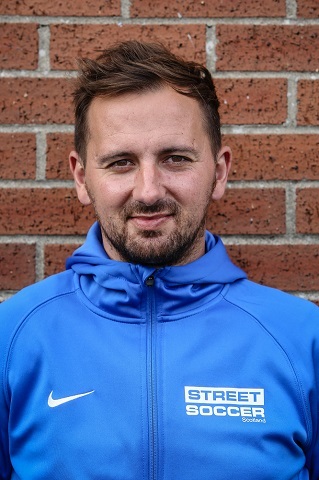 INSP President (now President of the Homeless World Cup) Mel Young was reported that the first ever INSP office had been founded in Glasgow. 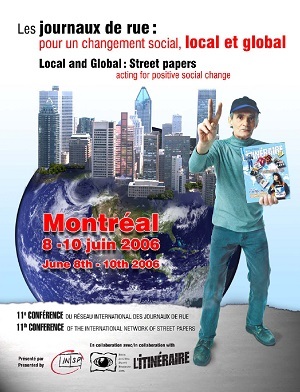 The previous year had also seen the first Homeless World Cup, held in Graz in July 2003 and the beginnings of a Global Street News Service, led jointly by NASNA and INSP. 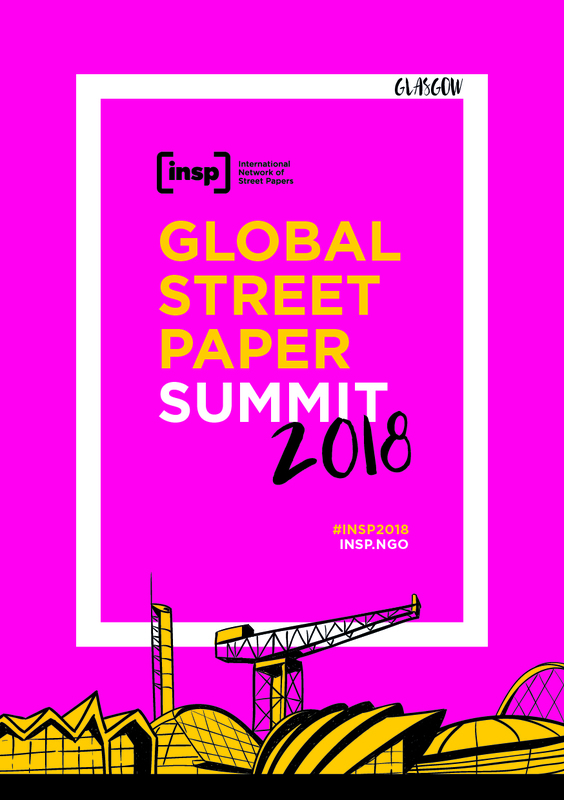 Street paper delegates came together to discuss the ‘Golden Scenario for INSP’ which ultimately led to its development from a network to a charity with its own team, headquartered in Glasgow. 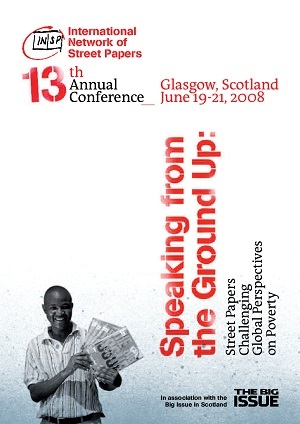 It was at this conference that the idea for the Homeless World Cup was first conceived by The Big Issue in Scotland’s Mel Young and Megaphon‘s Harald Schmied. That was during one of the INSP conferences’ famous late-night discussions. In addition, delegates paid visits to a variety of projects in and around Cape Town. They also heard a passionate speech from Dr. Zola Skweyiya, the South African Minister of Social Development. 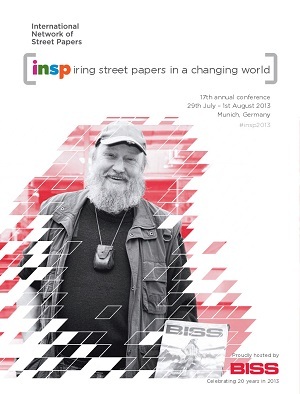 The first ever INSP conference was a meeting of European street papers to examine the future of street papers.